C. Clifton Black, Princeton Theological Seminary’s Otto A. Piper Professor of Biblical Theology, earned his MA in theology from the University of Bristol, his MDiv from Emory University, and his PhD from Duke University. He is an ordained elder in the Western North Carolina Conference of The United Methodist Church. While his research interests concentrate in the New Testament’s Gospels, particularly in Mark, he publishes in many fields, including biblical theology, New Testament rhetoric, and the history of biblical interpretation. 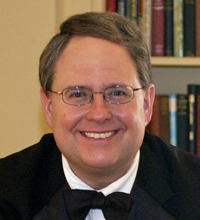 He offers a broad array of courses, including New Testament introduction, the exegesis of Mark’s Gospel, biblical theology and the practice of ministry, the parables of Jesus, major themes in New Testament theology, the biblical and Shakespearean visions, prayer in the New Testament, series in faith and film, as well as several doctoral-level seminars. He is the author, editor, or collaborating author of twenty books, and has published more than 200 essays, articles, and reviews. Black is a member of the Society of Biblical Literature, the Catholic Biblical Association, Studiorum Novi Testamenti Societas, the Center of Theological Inquiry, and the American Association of University Professors. He serves as secretary of the American Theological Society. The Lord’s Prayer (Interpretation Resources for the Use of Scripture in the Church, 2018).